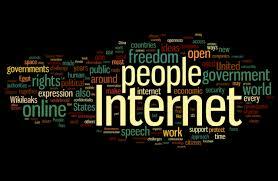 The Internet: A Mixed Blessing for Democracy? 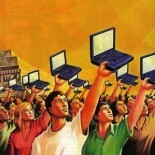 Is the Internet a godsend for democratic societies? My previous blog posts talk about the kind of social change, to varying extents, that Internet activism has unleashed in recent years. Are we on a path to digital utopia? Far from it, cautioned Eli Pariser, Cass Sunstein, and Rebecca MacKinnon. When the Internet cuddles us in a cushy bubble that shields us from a diverse public sphere of deliberation, democracy suffers. Nowadays, filtering – especially personalized filtering – has become a default feature for anyone consuming content on the web, given the tremendous growth of information on the Internet. 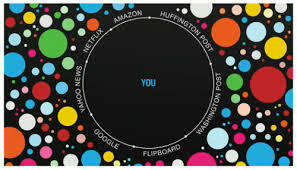 Pariser argues that as personalization becomes common place, we would likely be trapped in a filter bubble, which embeds us in a world where the web is only showing us what it thinks we want to see, but not what we ought to see. The “you loop” reinforces our own confirmation bias, and prevents us from encountering information that challenges us to revise our existing views. As early as 2001, Cass Sunstein warned of the customizable Internet’s echo chamber effect on a democratic society, which thrives on a populace that actively engages in debating a diversity of opinion. Building on his analysis, I’d demonstrate below that the filter bubble is particularly problematic for the American democracy, a de facto two-party polity. First, Sunstein suggested that filter bubbles exacerbate the phenomenon of group polarization. It has been shown that people will end up with the same view that they held before, but in more extreme form, if they only deliberate with other like-minded people in a group without hearing contrary views. When Sunstein wrote this article in 2001, America was probably less polarized than today. We now live in country where the 24/7 news cycle profit from amplifying polarized and partisan speech, where highly gerrymandered districts reward polarized politics, where the ballot access and primary system has made America inhabitable for a viable third political party. The development of extremism on the web, only adds insult to injury. Second, the civic commons where political discourse takes place is shrinking faster than ever. The manner in which the filter bubble is enclosing our conception of reality is much more subtle and nuanced on the web than is on other medium, particularly cable news network. Sunstein and others point out that filter bubbles diminish the significance of the public sphere, taking away the chance that people encounter materials on important issues they have not previously chosen to see. It is suggested that when people are exposed materials they have not chosen, their interests and views can change as a result of such encounter. Companies are driven by commercial interests to develop ever more feel-good bubbles, but none are incentivized to burst these bubbles. The concern going forward is not just how quickly these filter bubbles are enveloping our understanding of reality, but what it takes for the ecosystem to have a counter-balancing force against bubblization. Moreover, MacKinnon shrewdly pointed out in her book, Consent of the Networked, that the world’s oldest and most established democracies are vulnerable to digital bonapartism, as the political discourse in the US and other democracies relies upon private digital intermediaries. Corporate executives, who are unelected and acting like benevolent dictators, get to decide whether contested speech can exist on these platforms, and they would predictably rule in favor of the government’s wishes if the cost of defying the government outweighs the benefit of protecting the rights of a few individual users. The Internet can be the great liberator that usher in unprecedented freedom of expression, but it can also be the great oppressor that squash any detectable form of dissent. The Internet can promote the flowering of diverse views, but it can also confine us in a giant bubble that beguiles us with only what we want to see and hear. This entry was posted on December 2, 2013 by elsasze.